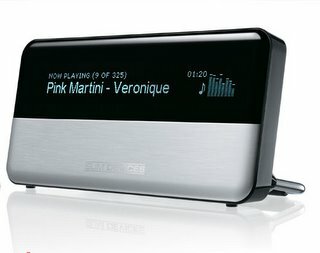 The new network music player from Slim Devices approaches perfection - a simple to setup, simple to use device that does exactly what it is designed for. Whether your music is in the form of files stored on a server (with support for MP3, WMA, FLAC, AAC, WAV, and Ogg Vorbis formats), or you prefer to listen to music streamed from Internet radio stations, this marvellous little box does it all. A full review is now up at the Haunt.